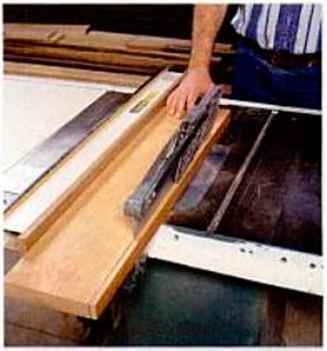 With the stock wedged to prevent rocking and secured between bench dogs, author flattens one side of a rough board. 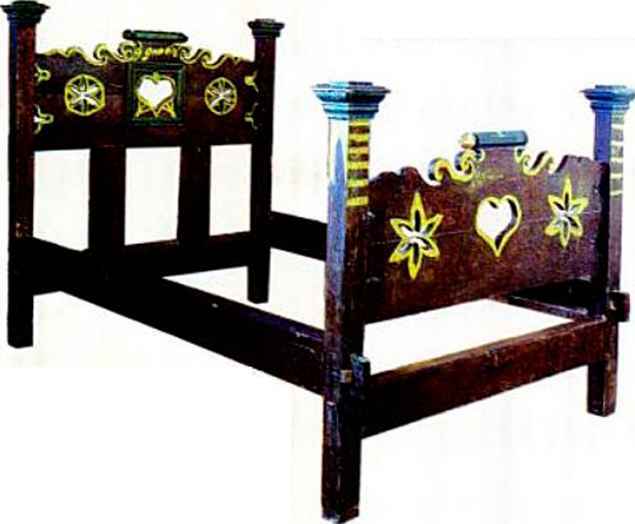 Although any kind of wood can be dimensioned by hand, you may find it best to start with a relatively docile wood, such as a clear piece of cedar or pine, to get a feel for the technique before tackling a harder wood. Determine twist, or wind, by placing winding sticks at each end of a board, then sighting along the top edge of the sticks. You can use a couple of winding sticks—two pieces of wood with straight, parallel edges—to locate any twist in the board. (See photo, above.) You'll want to plane the high spots indicated by the sticks. 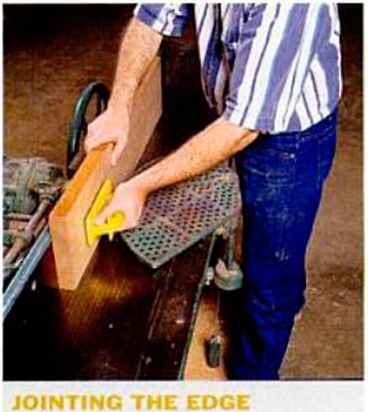 For flattening, I use an iron plane—an 18-in.-long Bailey. I like its length and weight, and the comer of the sole makes a good straightedge. Some woodworkers like to start flattening with a shorter and nimbler scrub plane. They quickly rough out just the high spots, then they switch to a longer plane. Whatever plane you use, make sure the iron is razor-sharp. I grind a very slight crown to my iron to prevent the edges from gouging the work, then I hone it on my bench stones. I also rub a little candle wax on the sole of the plane to reduce friction. Begin planing by moving the plane in a herringbone pattern, zigzagging diagonally across the stock. At the start, concentrate on leveling the opposite corners (if the board is twisted) or any bow in the board, as well as any other high spots. As you plane, check your progress frequently with the winding sticks, and lay a straightedge all over the board (here's where I use the edge of my jointer plane), looking for high spots. Mark these areas with a crayon as a reminder. When you've roughed out the surface, adjust your iron for a lighter cut to reduce tear-out, and keep planing diagonally. When the surface checks out truly flat, you can thickness the board by working the opposite face. First, set a marking gauge to your desired finished thickness, then scribe a line around the perimeter of the board, referencing from the flat face. Next, clamp the board rough side up on your bench, and use a small plane to bevel the perimeter to the gauged line. (See photo, below.) Plane the rough surface, checking occasionally with your straightedge to make sure the stock is flat across its face. Your board is flat and uniform in thickness when the bevel is gone. With one side flat, gauge a line around the board, then plane a bevel to the line as a visual guide for planing the face. When the bevel is gone, the board is at finished thickness. faces, no tool works better than a cabinet scraper. (See AW #30.) Skew the steel slightly as you scrape with the grain. SIMON WATTS isAW's West Coast editor. Begin jointing with both hands over the infeed table (left). When the leading end of the board has moved about 12 in. past the cutterhead, move your left hand to the outfeed side as you continue pushing with your right. Push blocks provide a better grip than hands alone. feed table even slightly at any point, you won t get a flat surface. 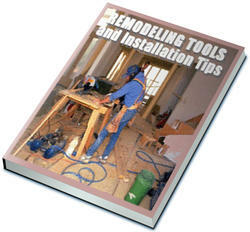 Two or three passes over the jointer are usually enough to flatten most boards. If you're working with a rough board, your board is flat once the saw marks are gone. For surfaced stock, draw pencil lines across the face and joint until they disappear. If everything goes well, you should feel a slight suction as you lift the trued board from the outfeed table. Jointing twisted hoards is a balancing act. Here, it's important to keep the opposite corners off the table by an even amount. (See drawing.) This ensures that you flatten the face without tapering the board into a wedge shape. If the twist is severe, knock off some of the high spots with a hand plane first to make the board sit more firmly on the jointer table. 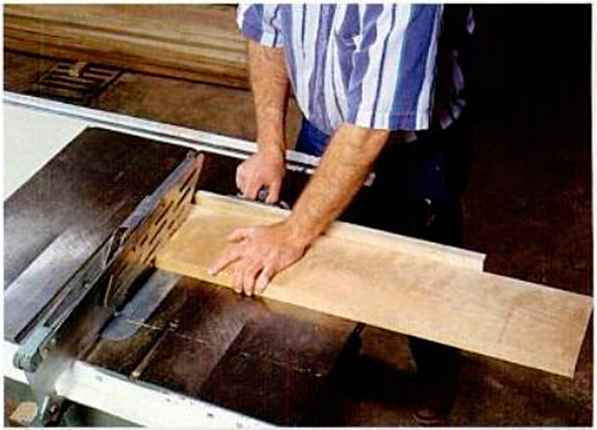 For the smoothest cut, it's important to orient your workpiccc so the jointer knives are cutting "downhill" on the grain. (See drawing.) Sometimes you can read the grain direction by looking at the edge or the facc of the board. Other times, the grain can be misleading. In these cases, the best approach is to joint the board, and if you get tear-out, reverse the board and feed it in the opposite direction. Once I've made a clean cut, I mark the jointed surface with an arrow indicating the grain direction, so that when I plane the board later I can feed it in the opposite direction through the thickness planer. With one face milled flat, now it's time to move to the thickness planer, to work the stock to finished thickness. First, adjust the planer to take about a Vm-in.-deep cut. Then plane with the jointed face of the board down. This way, the jointed, or "trued" facc, acts as a reference, so the top, planed face will end up parallel to the jointed facc. Again, to reduce tear-out you'll want to orient the grain in the proper direction. I do this by running the stock through the planer with my previously marked arrows pointing backwards. 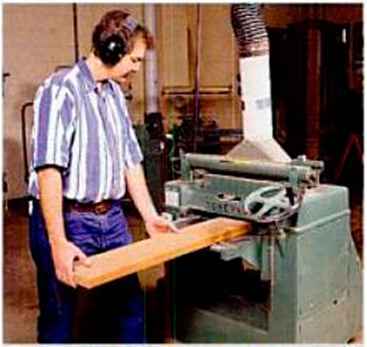 For safety, stand to one side as you feed the board into the planer, in case the knives kick the board backwards and out of the machine. When the planed face is flat, flip the stock over and end-for-end (so the grain is running in the right direction), then plane the jointed face. 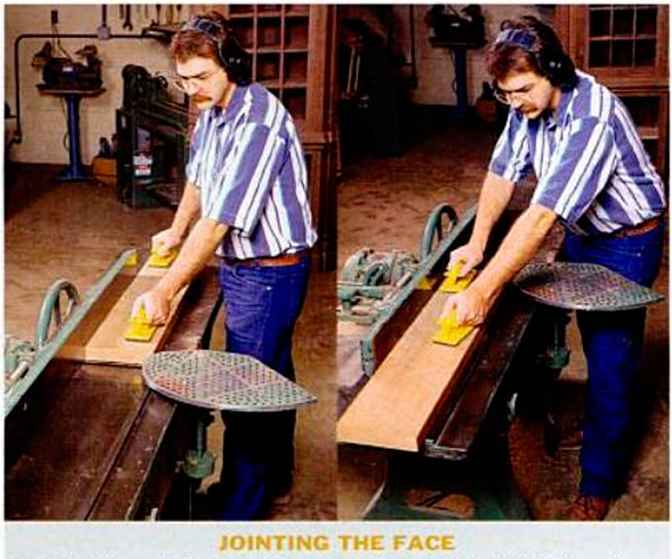 Keep planing opposite faces in this manner as you mill, trying to remove an even amount of wood from both sides of the board. This reduces the chances of the stock warping as you expose the inside of the board, which may have a slightly different moisture content. Place the jointed face down on the planer's bed and plane the opposite face flat. Continue planing alternating faces to bring the board to finished thickness. 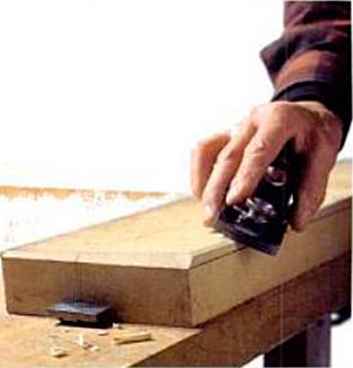 Use a miter gauge to cut the board to length. A straight stick screwed to the miter gauge provides more control when cutting long boards. Place the jointed edge against your saw's fence so the sawn edge will end up parallel to the jointed one. When your board is flat on both sides and planed to thickness, the next thing to do is machine it to width. Begin by joint-When edge jointing, hold board ing one edge so it's against fence with left hand as you straight and square feed the stock with right hand. to the board's faces. Adjust the infeed table on your jointer to produce a cut that's a little deeper than you used for face jointing, but again, take lighter cuts when jointing smooth surfaces. 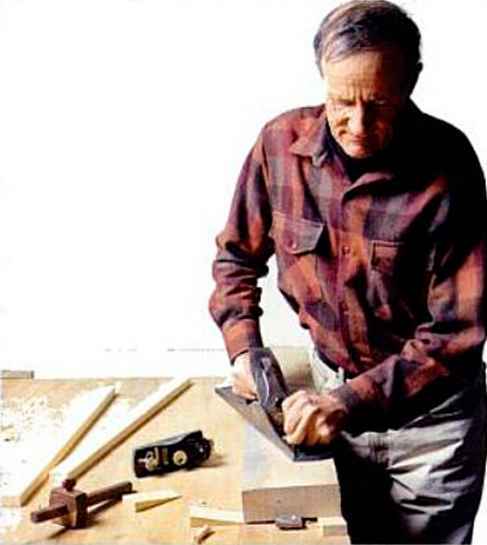 Then use an accurate square to check your fence for squareness to the jointer table. With one edge jointed straight and square, you can rip the opposite edge to width 011 the tablesaw. For ripping dimensioned boards I use a 24-tooth rip blade or a iO-tooth combination blade. Hold the jointed edge of the stock firmly against the fence so the ripped edge will end up parallel to the jointed edge. (See photo, right.) When ripping, 1 usually leave the board l/\i in. over final width, then I go back to the jointer for a very thin final pass to clean up the saw marks. thickness, so 1 can come back later with a hand plane and sandpaper to remove the knife marks left by the planer.